Throughout September Grace collected items for an Essentials Drive for Bridging, a Bloomington ministry that provides household goods to those transitioning from homelessness to new living spaces. 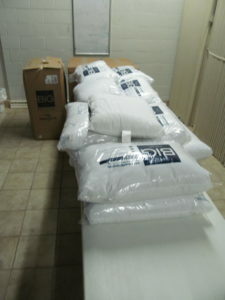 14 blankets, 68 pillows, over 70 towels and 55 bed linens were gathered. 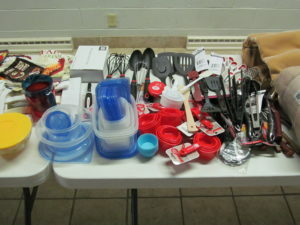 Grace volunteers also created 20 kitchen packs of various utensils and a dish cloth wrapped in a kitchen towel. 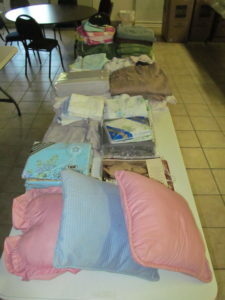 Other various items and a $60 cash donation were also included. 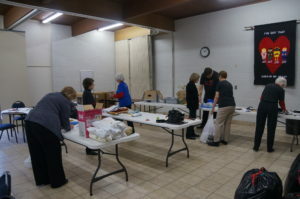 Thanks to all who donated, organized, wrapped, and delivered, and to Thrivent for the Action Team grant!